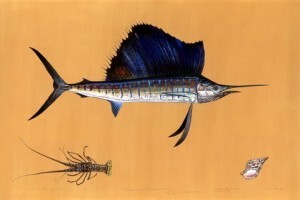 James Prosek , Atlantic Sailfish (2010), watercolor, gouache, colored pencil and graphite on tea-stained paper, 57 ½ x 86″. Collection: Brett and Mark Kristoff, Connecticut. All images courtesy of artist and Waqas Wahat, New York. It is equally plausible to imagine the artist surveying the verdant fells of England’s Lake District with the Romantic poet William Wordsworth (1770-1850) or probing the depths of the animated soul with William Butler Yeats (1865-1939; one of Prosek’s personal heroes and a figure whom he studied closely while an undergraduate at Yale University). Reality, however, lodges him firmly in his Easton, Connecticut studio, with its picturesque views of a nearby pond and surrounding fields. There Prosek, when not traveling to the far reaches of the globe in search of specimens, interprets and reinvents nature; often to scale, meaning that works such as his monumental Atlantic Sailfish (2010) can only be painted on vast expanses of paper laid flat on the floor. Further dissipating the clouds of nostalgic reverie that the artist’s persona precipitates is his critical approach to art-making. Through his subtle, yet pointed, questioning of traditional taxonomies (or systems of order) Prosek reveals the arbitrariness – and the intense power – of collecting, naming, and classifying objects and creatures from the natural world. It is this type of rigorous intellectual examination that makes him uniquely of our age. It is equally what makes his art so lively and exhilarating. Prosek denies neither the existence nor the utility of taxonomies. Indeed he is quick to concede that virtually from birth we humans exhibit a marked tendency to categorize the world around us (good/bad – edible/inedible – safe/unsafe – etc.). What begins as a base animal urge, born of an innate survival instinct, however, quickly evolves in nuance and sophistication as our cognitive skills develop and we begin to separate groups of objects – both animate and inanimate – into ever more subtle “classes.” This, in turn, facilitates our capacity to make refined judgments and distinctions, which, by extension, allows us to negotiate our surroundings with increased ease and physical security. 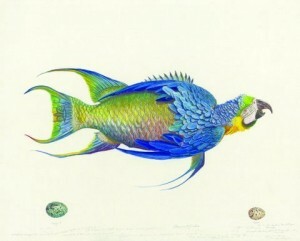 Caribbean Lobster (2005), watercolor, colored pencil and graphite on paper, 19 x 24″.Collection of Judy and Robert Mann. The compulsion to classify, however, cannot be explained by a mere yearning for comfort or personal well-being, for mankind displays a proclivity for grouping and organizing that far exceeds a primordial impulse. Rather, this tendency seems to be linked to our desire to maintain a sense of control in an otherwise rudderless state of existence by “pigeon-holing” our world into extant scaffolds of meaning and values. The reward is a powerful sense of command, the self-reinforcing nature of which ultimately drives such tendencies ever deeper into both our subconscious and our DNA. When extrapolated across societal units, the resulting hierarchies and ranking systems give rise to norms and conventions that govern the interaction of individuals, families, clans, and even nations. Without them, the rules of social engagement and meaningful dialogue would be lost and we, in turn, would be left in a Babel-like state of confusion (both literally and metaphorically). James Prosek forces the viewer to confront these ideas, as well as the related artificiality of hierarchies and socially-imposed categories; above all, the time-honored Linnaean system. This classificatory scheme – built on the “essential” groupings of Kingdom-Phylum-Class-Order-Family-Genus-Species – was developed by the Swedish naturalist Carl Linnaeus (1707-85) and is familiar to nearly everyone educated in the post-Enlightenment Western World. Yet some contemporary biologists (notably the so-called “Cladists,” who would prefer to group organisms based on a shared ancestry model) recently have begun questioning the usefulness of this and related approaches. Prosek’s work achieves precisely this same end by throwing into high relief the arbitrary nature of names and what he refers to as “the myth of order.” Parrotfishe (2009), for example, is not only a visual tour-de-force that leaves no doubt about the artist’s mastery of the intractable medium of watercolor, it is also a blatant challenge to “stable” taxonomies. The artist’s Sea Pegasus: Nocturne (2011) achieves these same ends by reminding us of the elasticity, the permeability and, ultimately, the desultory nature of names. 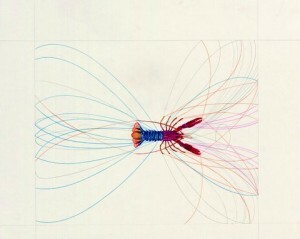 Prosek’s lyrical Caribbean Lobster (2005), on the other hand, lays bare the arbitrary nature of accepted norms and systems of order through the artist’s imposition of his taxonomic conventions, which are based strictly on the innate geometry of the creature’s own form. The results, which are reminiscent of artist Lee Bontecou’s (b. 1931) delicately calligraphic drawings, are as convincing as they are compelling: not only do such images possess an engaging beauty they also dupe us with their air of scientific authenticity and credibility. Thus we fall prey to our own assumptions about power and authority, strictures and order, accepting Prosek’s classificatory scheme as valid simply because it appears to be externally imposed and scientifically derived. This is, of course, precisely what the artist intends. James Prosek’s creatures conjure for us the sheer wonder and magic that can flourish in a world freed from corseting classificatory schemes and confining linguistic systems. 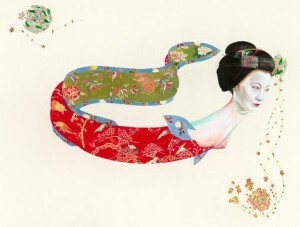 His Geisha Eel (2005) is, in this context, an expression of the enduring power of both the marvelous and the mythological; forces that not only played critical roles in most pre-modern civilizations but also persist today through organized religion, personal belief systems, and age-old superstitions. 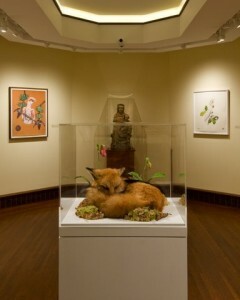 Prosek’s Flying Fox (2009), in both its painted and taxidermied versions, wittily plays off of these same themes. The latter, for instance, taps into the suspension of disbelief that is essential to legend and lore, for the animal’s dulcet posture and alluring tactility lull the viewer into forgetting that the specimen upon which she gazes is, frankly and irretrievably, dead. The attached wings, like the attendant hand-made clay flowers that complete the mise-en-scéne, are the handmaidens to this ruse, distracting us – if only temporarily – from a far harsher reality. 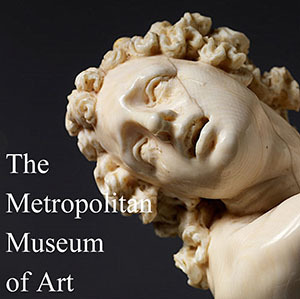 Only when our aesthetic idyll ends do we confront the artificiality of the construct; a confabulation that exposes conventional notions of myth, order, collection, classification, naming, and even museology. In this, Prosek employs, with great success, modalities reminiscent of the conceptual artists Fred Wilson (b. 1954) and Mark Dion (b. 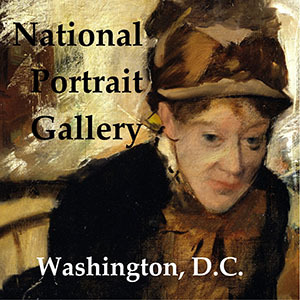 1961), both of whom question dominant structures of power and authority embodied in canonical museums of art and natural history. 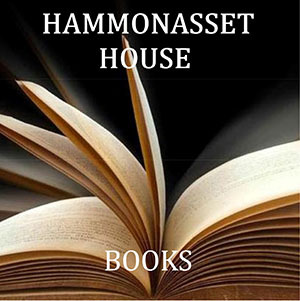 James Prosek also reminds us through his work that rare is the person whose appetite for control is sated by merely naming and/or classifying the objects that surround him or her. To experience a true sense dominion and unassailable control, possession is required. This is perhaps why human beings are among the few creatures on Earth that collect for reasons beyond sustenance or survival. Prosek, with great subtlety, yet laser accuracy, lays bare such cravings through his own creation of a body of work that speaks to possession of the creatures with whom he interacts. 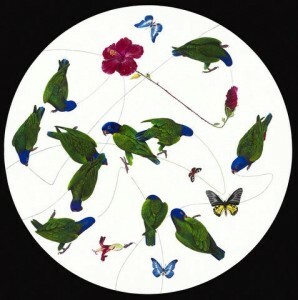 His Brazilian Blue-headed Parrots with Butterflies and Flowers (2007), for example, is a fantastic (in the literal sense of the word) aviary – the artist’s glorious creatures forever stilled in oil on panel yet jovial companions nevertheless. 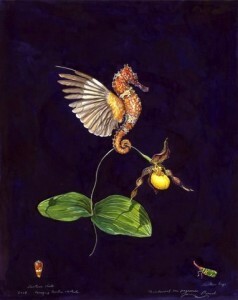 Drill Duck with Pitcher Plant Flowers (2009), too, not only plays fast and loose with names and order, it is also an addition to the artist’s bestiary that, by all rights, should include unicorns and centaurs cavorting with his mermaids and tool creatures. 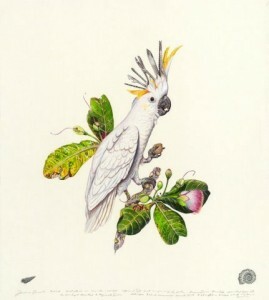 His Cockatool (2008) equally speaks to the artist’s highly personal syntax and unique visual lexicon, with implements from a Swiss army knife gamely replacing the cockatoo’s crest. 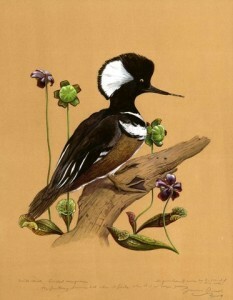 James Prosek, a largely self-taught artist, revels in the realistic tactility of a naturalist like John James Audubon (1785-1851). He counterbalances such one-to-one directness with an audacity and wit comparable to that of the watercolorist Walton Ford (b. 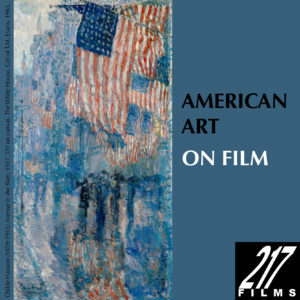 1960) and a painterly manner that speaks to his own sources of inspiration, Winslow Homer (1836-1910) and Milton Avery (1885-1965). 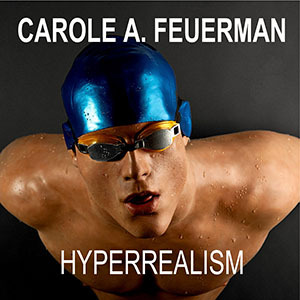 Like the futuristic, often Apocalyptic visions of Alexis Rockman (b. 1962) and the aforementioned Dion and Wilson, Prosek is an artist who looks established conventions squarely in the eye and poses the disarmingly simple question, “why?” (The answer, of course, is never clear yet alone final). Despite these manifold points of convergence and diverse range of influences, James Prosek – like all practitioners of exceptional talent and a truly original vision – embodies these traits in a way that is wholly, indisputably his own.